Let’s admit right away that we are a little desperate and more than a little bit biased here. 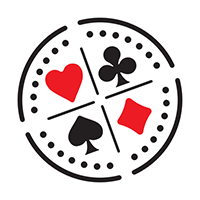 We we all share a common vision of wanting US politicians to kick on and make some real progress with the various poker bills that are sitting on the periphery of the legislative process, provocatively winking towards an unlikely return to online poker'sglory days. Whilst online poker's second coming remains some way off at present, it seems less impossible than it was a few months ago and as long as there is a tiny light at the end of the tunnel, we continue to have hope. So it is with anticipation we note the progress made with the New York Poker Bill this week. If you fancy a read of the bill itself, click on this link, but make sure you have a stiff drink at hand because it is not exactly light reading. 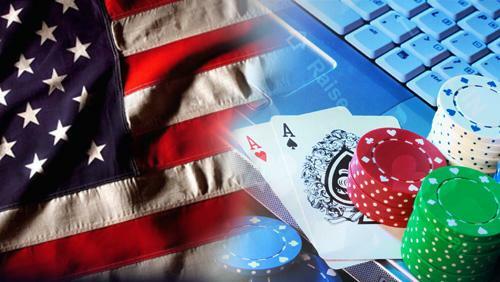 If passed, the bill will recognize and regulate online poker and the good news for supporters of the draft bill was that it emerged from the committee stages this week and will now be debated on the full senate floor at an unspecified time in the future. This is not necessarily an indication it will definitely become law, but no law can be passed without being debated by the full senate. On this basis there has been a major step forward and the lobbyists can begin to contact senators to hopefully brief them on why it is such a great idea. Believe me, this lobbying will have already started. Supporters of the bill will also be encouraged by senator John Bonacic's comments that online poker is seen as “more settled” in the eyes of the legislators. This comment is more significant than you think. Politicians always have lobbyists in their ear, and their social conscience (yes, they do have social conscience!) makes it far easier for them to lean towards seeing gambling as a vice from which they should protect their public rather than the position we would prefer them to take which is to wholeheartedly back the bill and our freedom of choice to play poker if we wish. Over in the UK, vapers and e-cig campaigners have faced a similar problem in achieving separation between harmful smoking and their products which are better alternatives. Without this separation in the eyes of the politicians, they have struggled to gain widespread support. Naturally the New York legislators have not aided the progression of the bill without noting the potential financial benefits for their state finances. Online poker is to be taxed at 15% and each online poker license will swell the state coffers by$10 million. 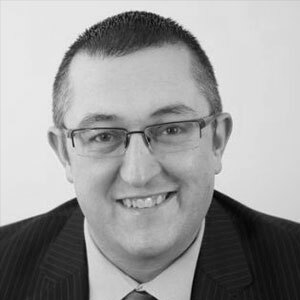 Across the year, the state would benefit hugely from adopting an approved regulatory framework and thus collecting their share of revenue rather than pompously standing by with only their morals for company whilst players find ways to play anyway. New York has already had a tantalizing glimpse at what riches could be on offer for them if this bill passes as it is estimated that New Yorkers spend $1 billion each year gambling in casinos situated in neighboring states (New Jersey). The progression of this bill in New York marks yet another step towards legalizing poker in the USA. I reported last month that Pennsylvania are also looking at progressing a similar bill to raise revenue in their state and only last week legislators in the state of California made amendments to bill “AB 2863” which had been passed in April by the California Assembley by 18 votes to 0, suggesting widespread political support for its progression into law. The reports suggested a setback for the potential legalization because of these amendments, but I look at this as one step back for a potential many steps forward. The amendments relate to specific and practical considerations such as the actual cost of online gaming licenses and tax rates based on gaming revenues. This drilling down into the detail makes me believe they are taking the mechanics of the bill seriously so there is a real chance this could actually become law. I would be far less optimistic if the bill had progressed no further than a series of declarations on principles. Unfortunately there is one downside for California contained in these amendments. One amendment will seek to penalize any online poker operator that continued to trade after 2006. This includes PokerStars. Given that PokerStars occupies the lion's share of the online poker market these days, that is a spanner in the works for sure. A final version of that bill is due out later this month so hopefully something can be negotiated. The more states that come on board and the more legislation is passed to legalize poker across the USA, the better. Our ultimate goal is to get one uniform framework of legislation agreed across the whole of the USA. These legislative developments are baby steps towards our goal and we may look back in years to come and acknowledge the significance of these seemingly small milestones in bringing about the change we all wanted to see.